1" scale tennis racket and ball miniature dollhouse accessory set for 1:12 scale productions of models, room boxes and dollhouses. This is a miniature scale accessory which measures 2-3/8" tall by 7/8" wide. 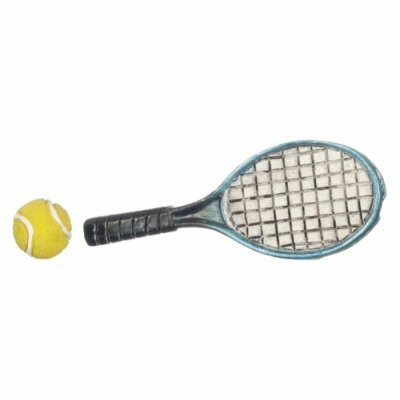 This Tennis Racket w/ Ball is supplied by Aztec Miniatures, which generally ships within 8 business day(s) of you placing your order .